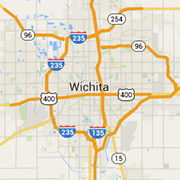 Keep your vehicle in top condition with these Wichita area oil and filter service centers. We offer 24 hour a day service for automotive emergencies! We have an ASE Master Certified technician available at all times. Wichita's exclusive New & Used Honda Dealership. With two convenient service locations, we’ll take great care of you AND your car!